Organizational Architecture is proud to help our clients find great people! 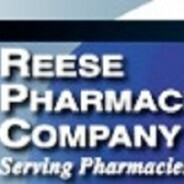 Reese Pharmaceutical Company is adding a Customer Service Representative role. Here you will responsible for serving customers and consumers by providing product and service information, resolving product and service issues, and providing and processing information in response to inquiries, concerns, and requests. This is an exciting opportunity to build your career as a customer service professional in a successful company! Please contact us at recruiter001@oahumanresources.com to learn more.